Rivergate Marina is a certified Clean Marina, catering for vessels from 8 to 80m. 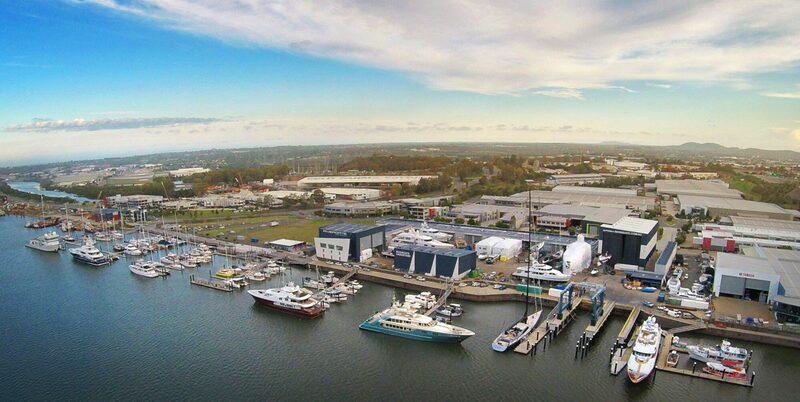 Voted in the Top 3 Australian Marinas by Boat International USA and the Marina Industries Association, Rivergate is the perfect service and refit destination for all vessels visiting the South Pacific and Eastern Seaboard of Australia. Rivergate offers mooring in 105 berths with deep water access for all visiting vessels. The fuel wharf is open 24hours, 7 days a week serving high and low flow diesel, unleaded and premium unleaded as well as providing sewerage pump out and fresh water facilities. Our onsite Dockmaster and Concierge can assist you with all of your inquiries. Rivergate is positioned in a prime location on the Brisbane River, with only 10 minuted from the National & International Terminals, 6nm from the mouth of the River and 3nm from the city center.